Easy and delicious summer chicken recipe that you family will love! 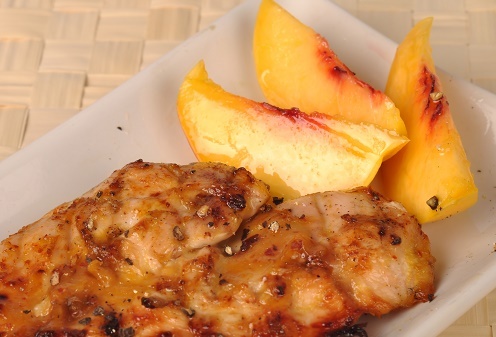 Put the lettuce on the plate and top with peaches, cheese and chicken. Mix the vinegar, oil and salt and pepper to taste in a small bowl. Drizzle over the plate and serve.